Last minute cruises from Southampton up to -70% off To take advantage of these offers, join now for free! Imagine watching the sun sink beneath the turquoise sea of the Mediterranean from the luxury of your onboard cabin, while enjoying a glass of Muscadet from the ship's wine cellar, served to you by your own personal valet. A holiday like that is out of the reach of most people, but our members can enjoy exclusive discounts of up to 70%, making a last minute cruise from Southampton a reality. Southampton is the gateway to the world with 422 cruise ship departures scheduled for 2017. Destinations include four-week exotic cruises in the Indian Ocean and five-day sightseeing trips to the Norwegian Fjords. You really are spoilt for choice, with all the major cruise lines serving the port. 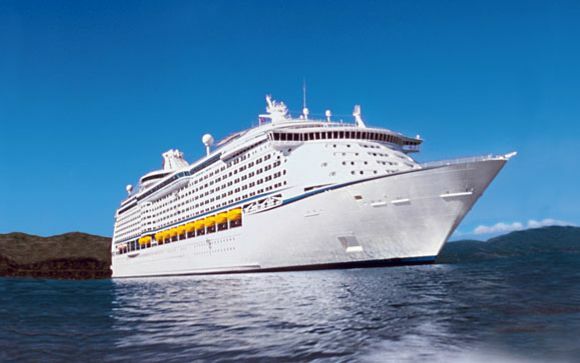 You can even take a once in a lifetime world last minute cruise from Southampton, and takes you on a whistle-stop 3-month voyage starting in the Mediterranean, before moving to the Indian Ocean, Indonesia, Australia, Polynesia, South America, and returning home through the Panama Canal. We know that the quality of ship and crew can make or break a cruise, so we only select cruises for our members from a select group of cruise lines. Choosing top tier cruise lines guarantees that your ship and its crew meet SOLAS safety regulations while maintaining strict environmental standards while at sea. We ensure that all ships meet these exacting standards while providing the luxury our members have come to expect. All the ships sailing from Southampton have onboard beauty salons, shopping malls, theatres, cinemas, and casinos for passengers to enjoy. Our specialist cruise team have handpicked a range of luxury last minute cruises from Southampton which include everything from short five-day cruises to the Canary Islands, to luxury 12-week voyages around the world. These cruises are available to our members only, who enjoy exclusive discounts of up to 70% off the list price while maintaining the high standard of luxury that our holidays are renowned for. So join our club today and get access to these exclusive prices, and this time next week you could be departing Southampton on your very own luxury cruise holiday.